Before we give you the first names of our 2011 line-up, we want to start with last year's edition. Even though, Melt! 2010 is over, it's still worth a news feature. Fortunately, we were nominated for a European Festival Award 2010. We were lucky and won the Artist's Favourite European Festival award. We are tremendously happy and thank everyone who voted in our favour! Now, enough about last season, let's turn towards this year's festival summer. With great anticipation we are looking forward to our return to the "gigantic steel giants". And without further ado, here are the first acts confirmed to perform at the 14th edition of Melt! Festival in Ferropolis from 15th to 17th July, 2011. After Pulp had announced their reunion, fans on and off the British isles were ecstatic. So were we since the boys and girls from Sheffield are about to play their only gig in Germany at this year's Melt! as part of just a few festival performances worldwide. Entertainment galore awaits us: Pulp will play their greatest hits only. Last year, hit machine Robyn's been busy as well producing one album after the other. The Swedish pop icon pulled an album trilogy out of the hat as if it were the easiest thing in the world. With all her new songs in tow, Robyn will conquer Ferropolis in no time. Where there's Melt!, there's definitely the Kalkbrenners. Since he started DJing, Paul Kalkbrenner has been part of the Big Wheel Stage line-up. At last year's Melt! Picknick, he even performed together with his brother Fritz Kalkbrenner. At Melt! 's 14th edition, both happily continue their liaison with Melt! Mike Skinner and Melt! also have a mutual history which will be continued when The Streets arrive at Ferropolis this summer. Speaking of traditions, Markus Kavka's opening slot at Big Wheel Stage is definitely part of this year's festival madness again as well as Ellen Allien crossing the finish line at Sleepless Floor on Monday morning. 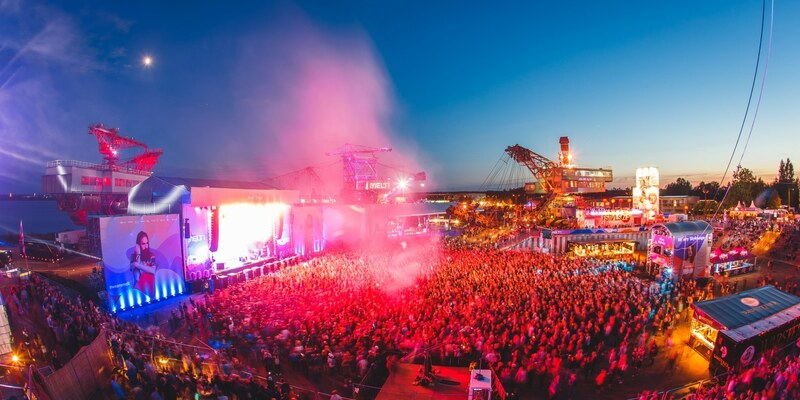 Regarding the festival's stages: Melt!Selektor Stage at Desperados Beach will be part of the festival line-up again. Like last year, the stage will be curated by Modeselektor. Also the Big Wheel Stage will see performances by a variety of DJs on Sunday as well. No 2-day tickets for Melt! 2011!! Camping and parking are included in the price (from Thursday 14.07. 01:00pm until Monday, 18.07. 03:00pm).